Close to 100,000 returnees in Sri Lanka’s north lack national identity cards (NICs), more than four years after the end of the country’s decades-long civil war. “Many people cannot resume their lives as NICs are the passport to accessing multiple services and were made mandatory for voting in 2006,” Suresh Premachandran, a member of parliament (MP) with the Tamil National Alliance, one of the largest national parties representing minority Tamils from the north, told IRIN. According to the United Nations, more than 460,000 displaced persons have returned to Northern Province - which is home to more than 1 million inhabitants - since government forces declared victory over the Liberation Tigers of Tamil Eelam (LTTE), who had been fighting for an independent Tamil homeland since 1983. In Mullaitivu and Kilinochchi districts alone, an estimated quarter of the districts’ 200,000-plus inhabitants are without national IDs. Without such documentation, many residents struggle to access public services such as health and education, and well as government assistance programmes. They also face the risk of questioning and delays by police and security officials. Under the law, NICs are compulsory for all Sri Lankans 16 years or older, and authorities may detain suspicious individuals who fail to show any form of legal identification - a legacy of the war. Even to enter many government buildings, one must produce an NIC, people complain. But moving ahead on this issue is proving a challenge. Despite the identity cards’ importance, the government has yet to prioritize the issue, with much of its effort focused instead on large-scale infrastructure and development projects in the north. Many returnees do not have the required documentation to apply for an NIC, and with no local offices for issuing NICs, applications can take several months to process. “The processing of papers can prove time-consuming,” Shanthi Sachithanandan, chairperson of Viluthu, an organization promoting good governance in the north, explained. After the war, the government was keen to have its voter lists updated. When these lists were updated ahead of presidential and local polls in 2010 and 2012, temporary IDs were issued to over 40,000 people to allow them to vote, a process that continues today. At that time, around 90,000 people from the north failed to indicate their NIC number, Deputy Elections Commissioner M.M. Mohammad confirmed. “Temporary IDs were issued to many, especially to facilitate their participation in the presidential and local government elections that were held,” he said. But many returnees say such IDs are looked down upon. Those holding temporary ID have difficulty accessing government services and are sometimes treated with suspicion by officials, they say. Now, with the first provincial council election in Sri Lanka’s former war zone scheduled for September, returnees and politicians alike are again urging the government to improve the issuing of NICs. “The government has started issuing temporary IDs, which is a time-consuming process. People have to contact the local government officials and process papers, which is not easy for returnees,” MP Premachandran said. But according to the department responsible for issuing NICs, given the amount of time and documentation it takes to process such applications outside Colombo - and specifically in the former war zone - temporary IDs may still be the best option available at this point. “This is the best solution to the present problem,” maintained M.S. Sarath Kumara, commissioner general of the registration of persons, noting that temporary IDs issued to facilitate voting could also prove useful to people without any other form of identification. “A temporary ID is a practical idea, and it can be revalidated through reapplication,” agreed Rohana Hettiarachchi, executive director of People’s Action for Free and Fair Elections, an election monitoring body that has been helping eligible voters to obtain national identity cards through a mobile clinic effort. But for those returnees without an NIC, still struggling to establish some semblance of normalcy in their lives after years of conflict and displacement, the idea of anything temporary offers little solace. “A temporary ID is useful for those who wish to cast their vote at the forthcoming northern provincial election. 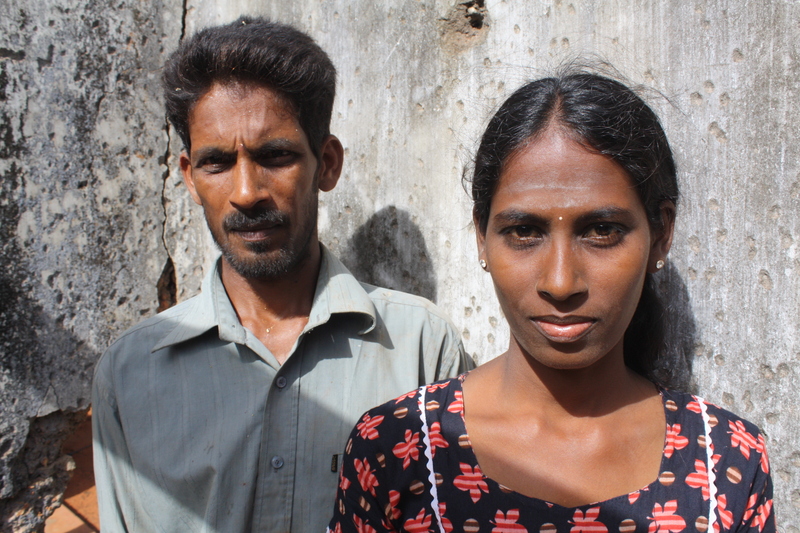 [However,] for us former IDPs [internally displaced persons], returning home after being displaced for a decade, there are much bigger issues than getting involved in a political battle,” explained Muttuvel Kadirmani, a 46-year-old father of three from Mullaitivu. He urged the government to issue NICs instead of temporary forms of identification. “It will be useful in every aspect of life and provide us with a sense of security,” he said.